Styrofoam is a major environmental problem. Used in product packages and the shipping industry, the world produces tons of it each year. The fact that Styrofoam is non-biodegradable adds to the ecological impact. Landfills are filling up at a record rate and Styrofoam is one reason. Styrofoam has the potential to affect the entire ecological system of this planet. The Earth Resource Foundation reports that Styrofoam manufacturers were the fifth largest producer of toxic waste in 1986. 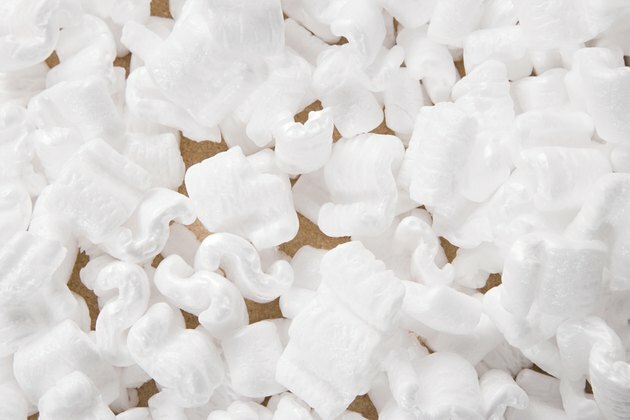 Over 90,000 workers face exposure to the effects of styrene, the material in Styrofoam, each year in industries such as rubber and fiberglass manufacturing companies. Health effects from exposure to styrene are irritation of the skin, eyes and respiratory tract and gastrointestinal problems. Chronic exposure affects the nervous system, causing symptoms like depression, headache, fatigue and weakness, and minor effects on kidney function and blood. Styrofoam is non-biodegradable and non-recyclable. According to Washington University, Styrofoam takes 500 years to decompose; it cannot be recycled, so the Styrofoam cups dumped in landfills are there to stay. With enough Styrofoam cups produced each day to circle the earth if lined up end to end, the potential for major ecological impact is great. Styrene leaches into foods and drinks served in Styrofoam containers, and according to the Earth Resource Foundation, the manufacture of Styrofoam releases large amounts of ozone into the atmosphere, causing respiratory and environmental issues. In addition, with billions of Styrofoam cups used yearly in convenience stores, restaurants and lunchrooms ending up in landfills, some cities have banned the use of Styrofoam. Styrofoam and Styrofoam products fill up 30 percent of our landfill space, and landfills are fast becoming full. A Recycling Revolution reports that packaging material makes up one-third of an average dump. The U.S. is the biggest trash producer in the world, filling America's landfills at an alarming rate. Five percent of the world's population generate 40 percent of the world's trash. On average, each one of us puts out about 5 pounds of trash a day. This adds up to about a ton of trash per person every year that eventually ends up in a landfill. The solution to the Styrofoam problem is finding and using alternative materials. Recycled paper products are the best alternative, according to Earth Resource Foundation. Paper recycling also saves trees and contributes to an overall savings when compared to Styrofoam. Paper products are biodegradable and non-toxic to the environment. Easily recycled, paper is good for shipping and product packaging.